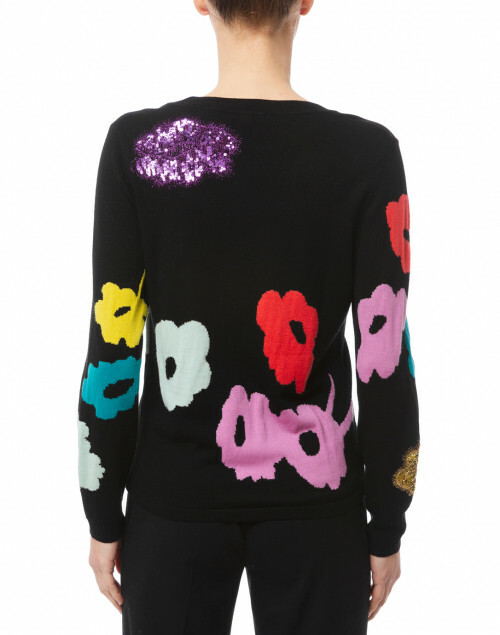 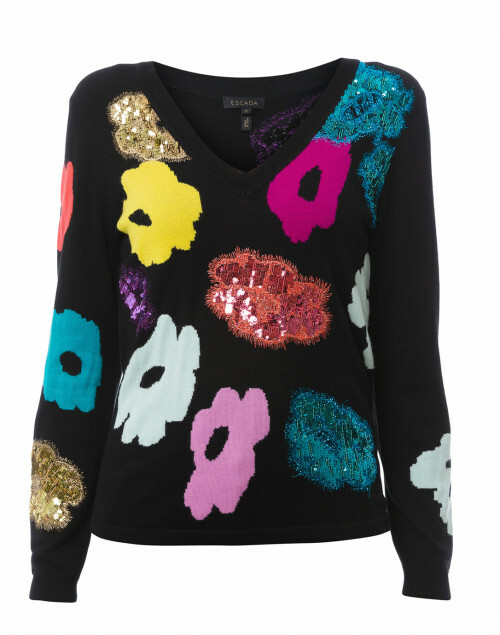 With bold floral motifs and sequin embellishments, Escada's black Serocky sweater is a true statement piece. 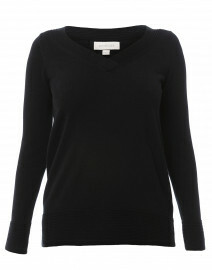 The intarsia-knit design is crafted from virgin wool and has a flattering V-neckline. 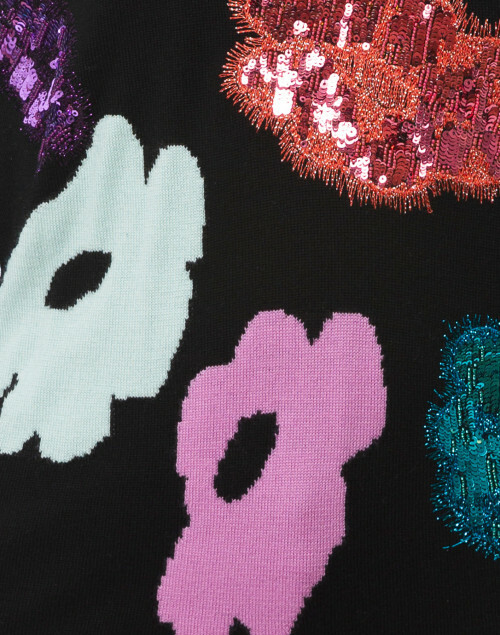 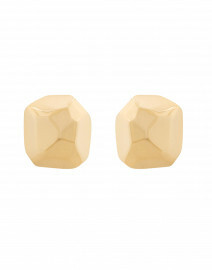 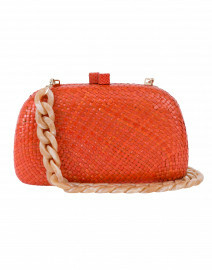 pair it with black wide-leg pants for a bold, modern feel. Length 23" 24.5" 25.5" 26.5"
Shoulder Width 15" 15.5" 17" 17"
Bust 37" 38" 42" 44"
Waist 34" 37" 40" 43"
Hip 34" 36" 40" 42"
Sleeve Length 22.5" 23.5" 24" 24.5"